For natural soothing and calming. 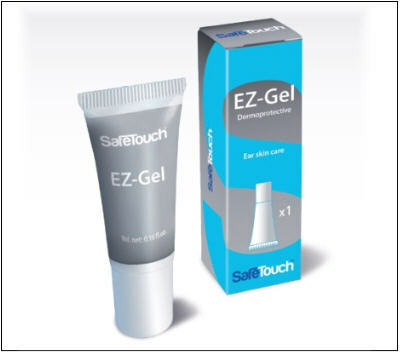 The specially developed SafeTouch™ EZ-Gel makes the fitting and removing of the Hearing Aid, Earmold or Hearing Protector easier. The EZ-Gel allows a better tolerance of the Hearing Aid and prevents irritations and skin problems. It is formulated to minimize the risks of allergies. Contains a natural active component of Indian Frankincense, known first in Indian Ayurvedic medicine, and now acknowledged in Western medicine, for its potent anti- irritant effects. Frankincense is an aromatic resin obtained from Boswellia trees. It alleviates inflammatory states and reduces erythema evoked by skin irritations.